Hot & Hearty breakfasts from our friends at Cuisine at Home. Give the bagels and cream cheese a rest and try one of these five sweet or savory dishes. Got company joining you at the cabin for breakfast or brunch? We've gathered five delicious recipes that make breakfast at the cabin easy because, let’s be real, when you’ve got guests coming for breakfast or brunch, it usually means getting up at the crack of dawn to pull it all together. Breakfast casseroles make it convenient to feed a crowd without losing any beauty rest, because they can, and need, to be made ahead. So, whether your company enjoys a sweet or a savory treat in the mornings, this "Breakfast at the Cabin" recipe guide is made for you and your cabin lifestyle. If your family loves sticky buns, this casserole will have them singing its praises. Full of gooey caramel, rich pecans, and fragrant cinnamon, it’s hard to resist. This ham and cheese strata is inspired by the classic bistro sandwich, croque monsieur, and means “mister crunch” in French. With just one bite of this savory strata, you’ll be saying ooh-la-la. With Canadian bacon and an easy cheese sauce, these steam-fried eggs never tasted better. This Mexican version of baked eggs in a spicy tomato sauce is not only easy to make and full of flavor, it’s good for you, too. Plus it also makes preparing eggs for a crowd a snap. Whether it’s for breakfast, lunch or dinner, this vegetarian main dish will get rave reviews when it’s brought to the table. Grab a box of corn flakes and put some crunch into your brunch with this crispy take on French toast. This truly is a breakfast of champions. 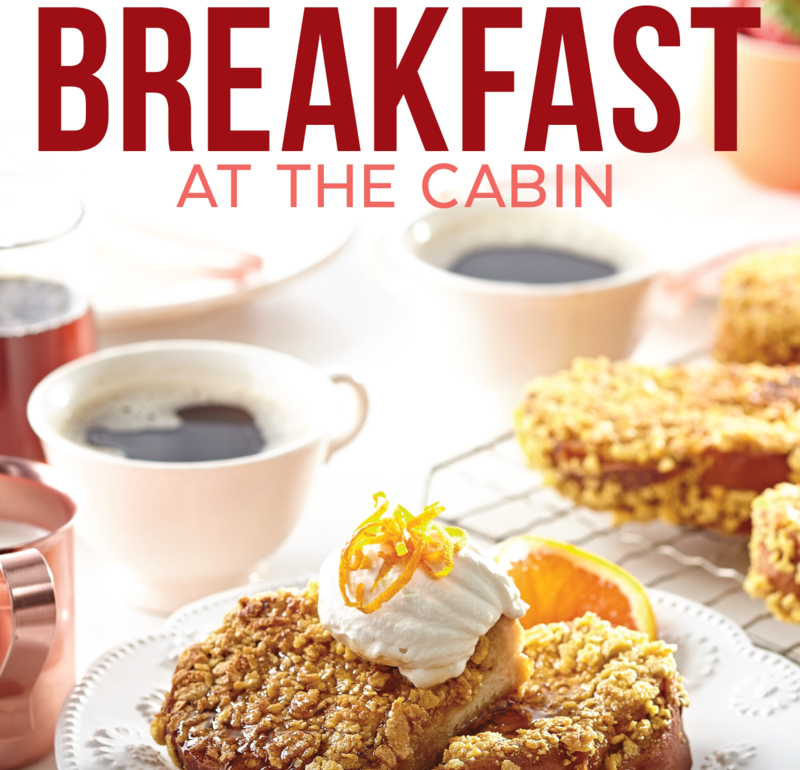 Fill out the form below to download the full "Breakfast at the Cabin" recipe guide. Plus, exclusive tips to keep in mind while preparing them. Hungry for more? Visit CuisineAtHome.com.